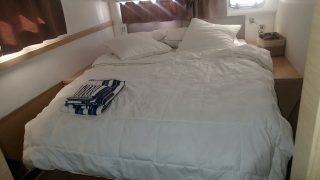 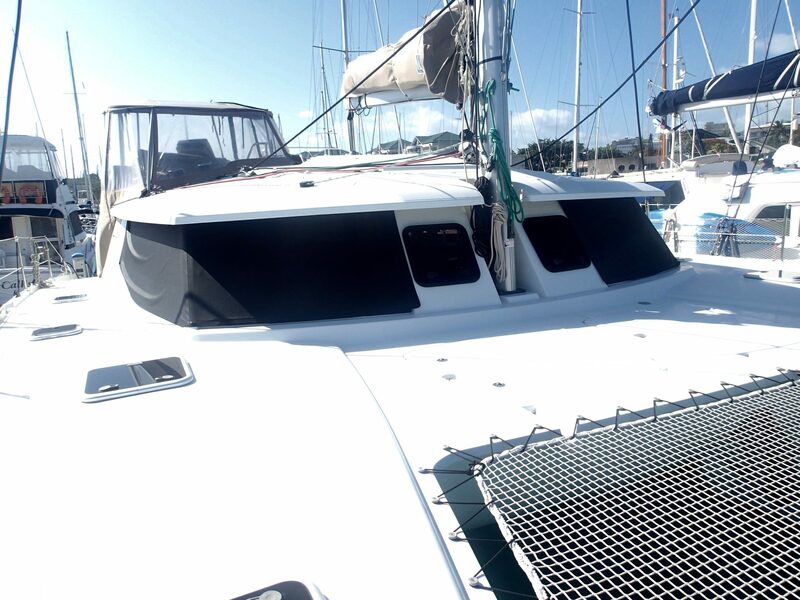 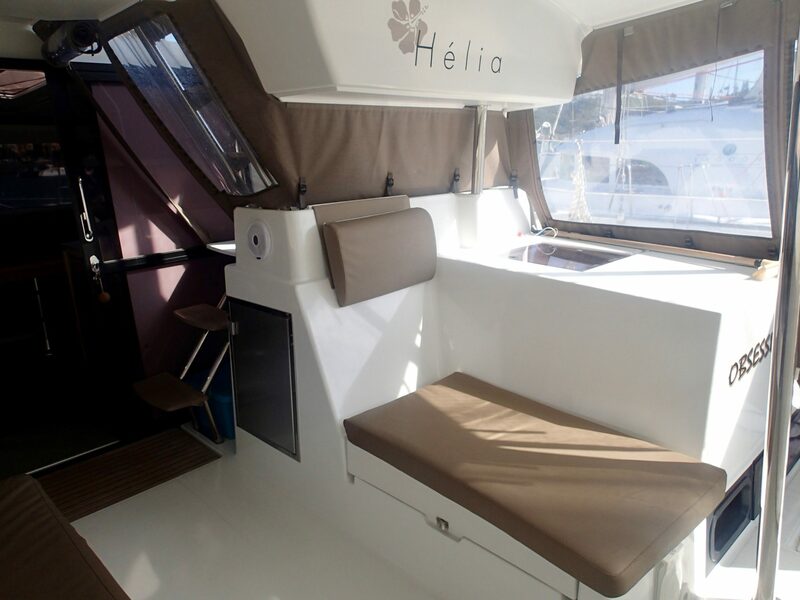 This is one not to miss, a near new version of the Fountaine Pajot shipyard’s most popular sailing catamaran, the Helia 44. 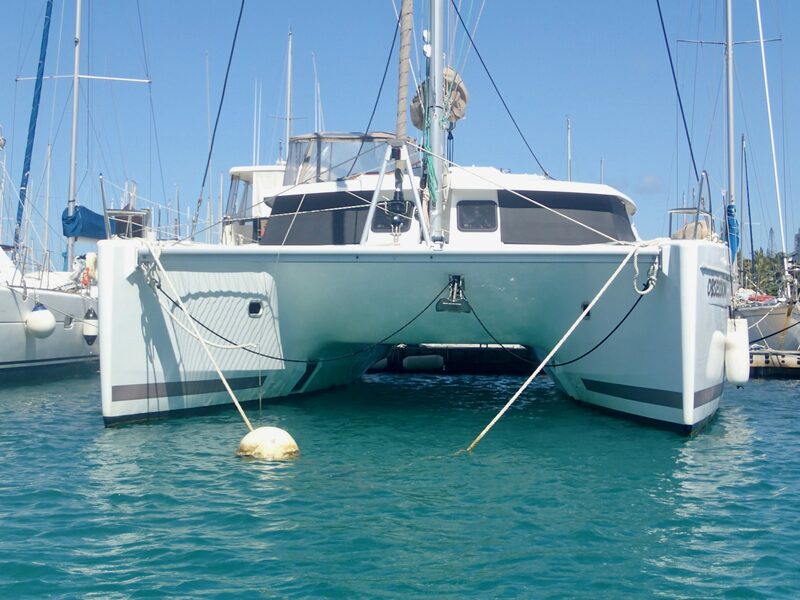 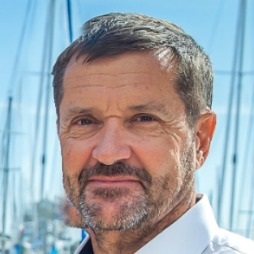 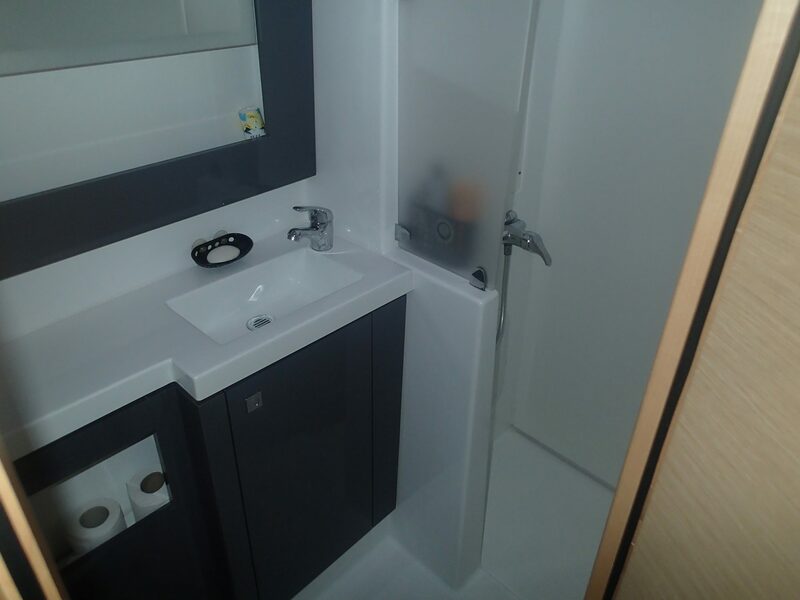 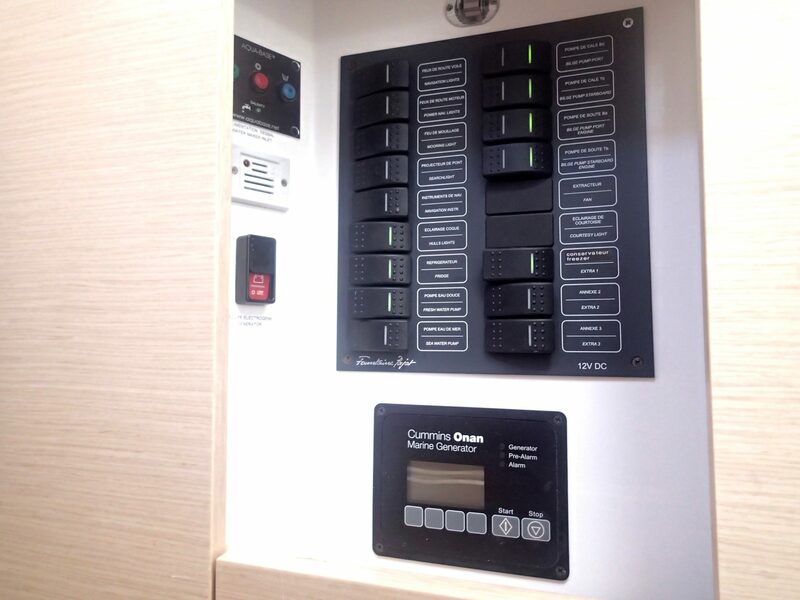 This model has launched Fountaine Pajot into their current leading position among the world’s production catamaran manufacturers, for good reason. 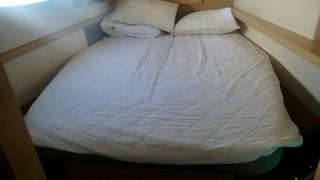 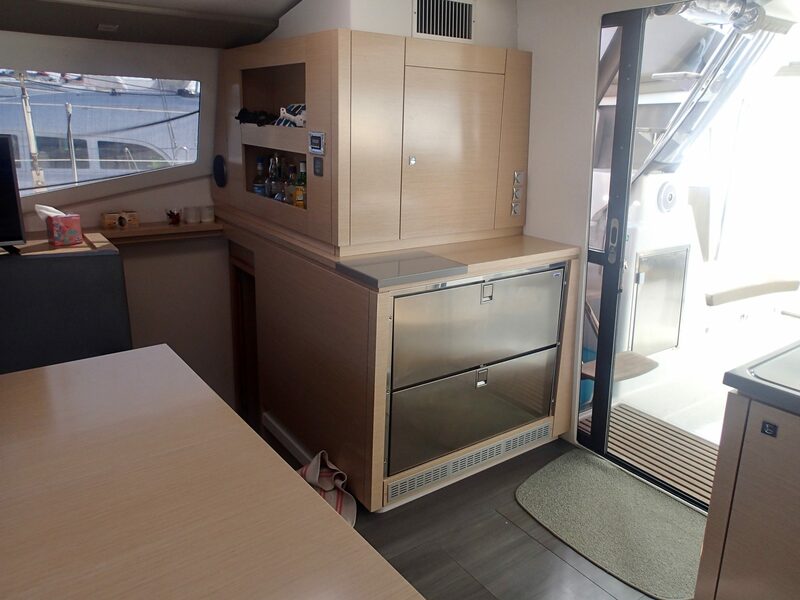 The Helia’s powerful sail plan includes a square top main sail and a well distributed displacement ensuring good performance, the brand’s DNA. 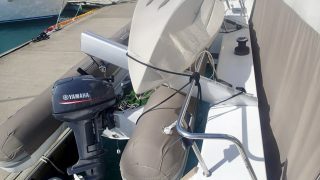 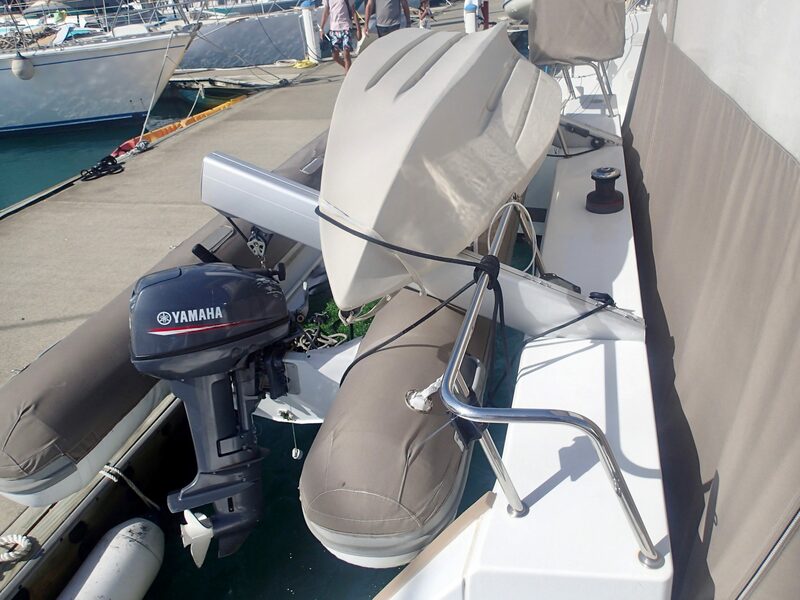 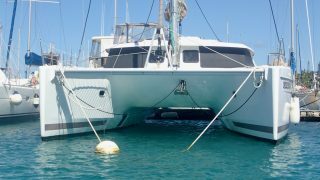 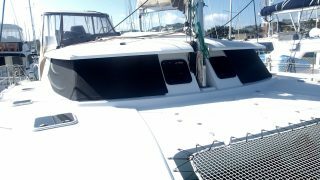 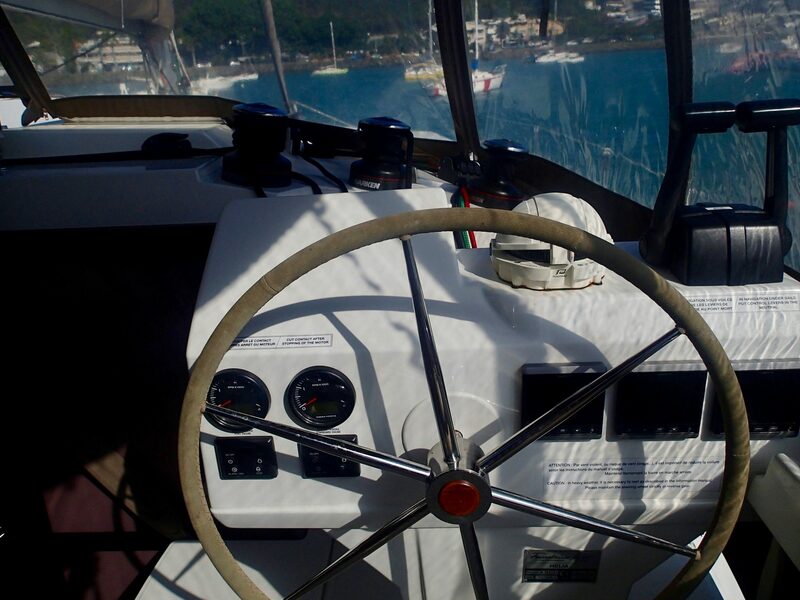 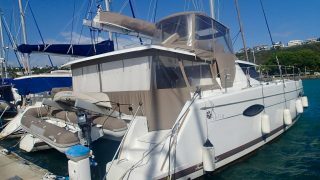 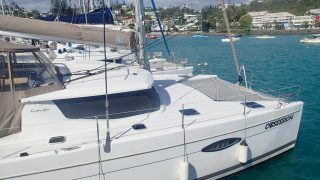 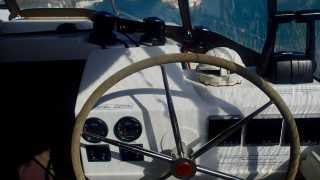 Yet she is easy to single-hand with all lines coming back to the helm, an electric winch and full protection from the elements with her fully enclosed bimini. 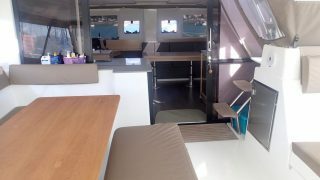 Her interior is designed to take full advantage of light, with a panoramic view in the saloon and a wide sliding door opening to the cockpit – she is the ultimate entertainer with this one-level living area offering continuity. 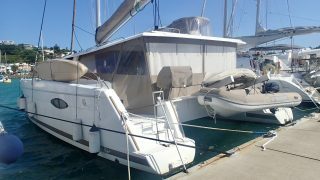 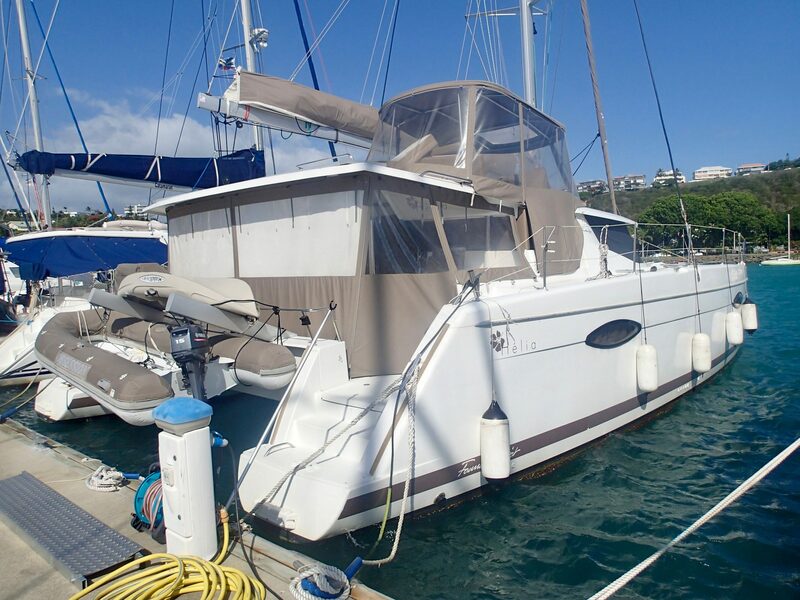 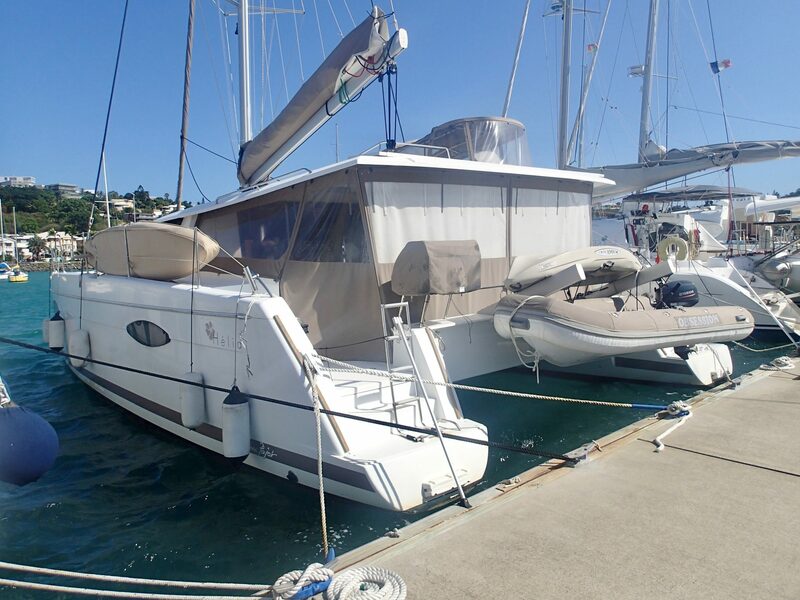 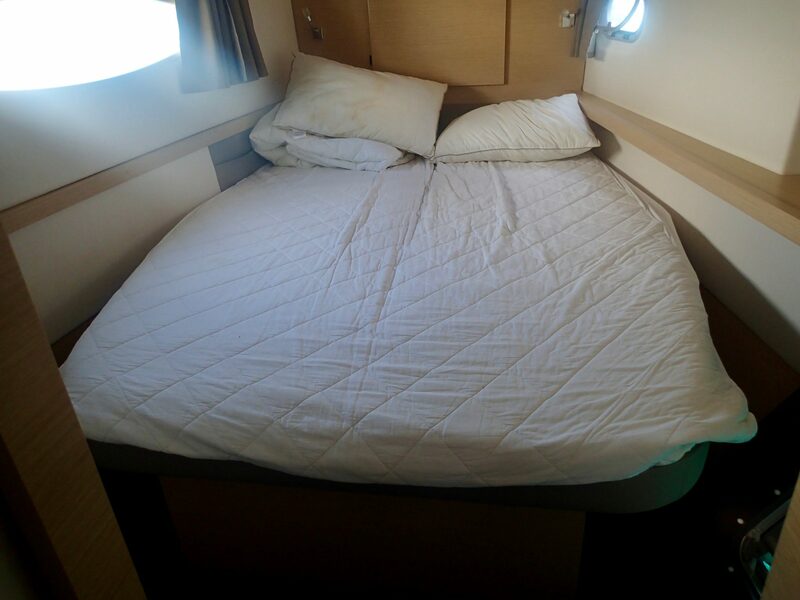 This Helia 44 is a four cabin version which was transported to Australia by cargo ship in 2015 and then delivered to New Caledonia. 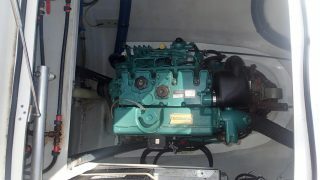 From here she has always remained in the local lagoon, hence her very low engine hours showing 650 to date. 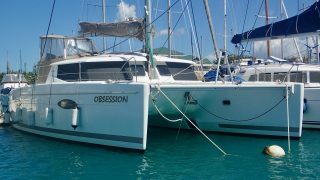 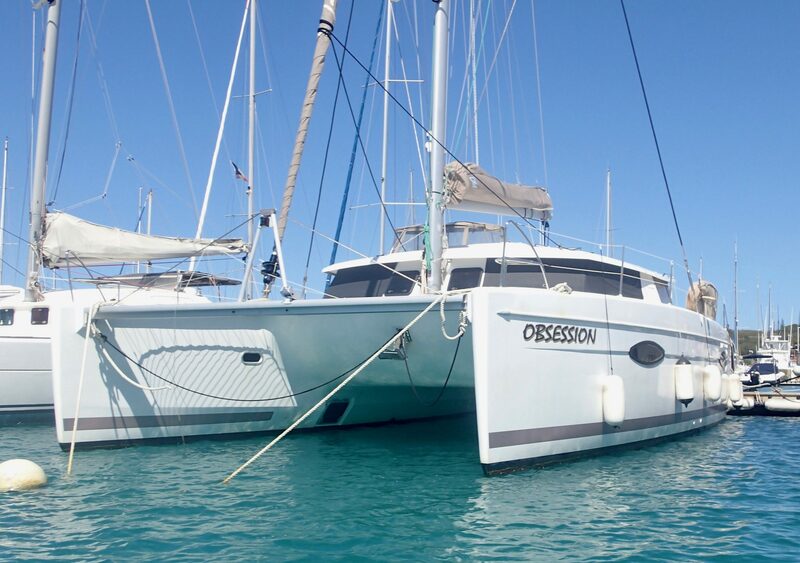 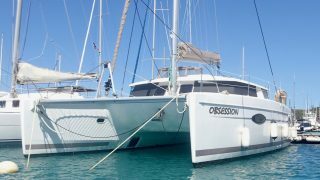 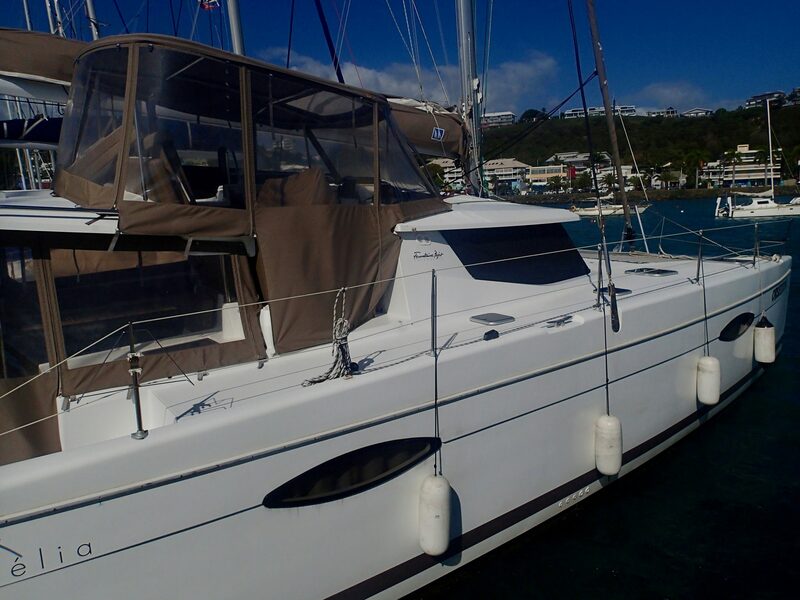 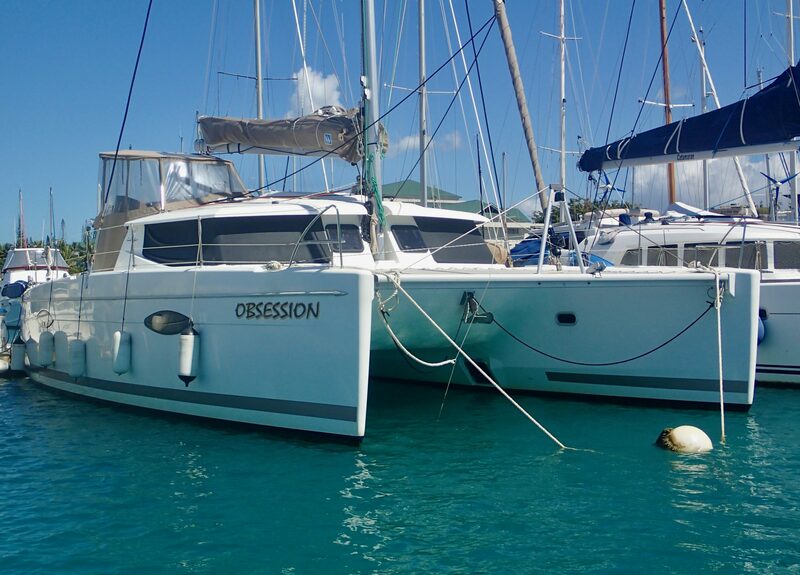 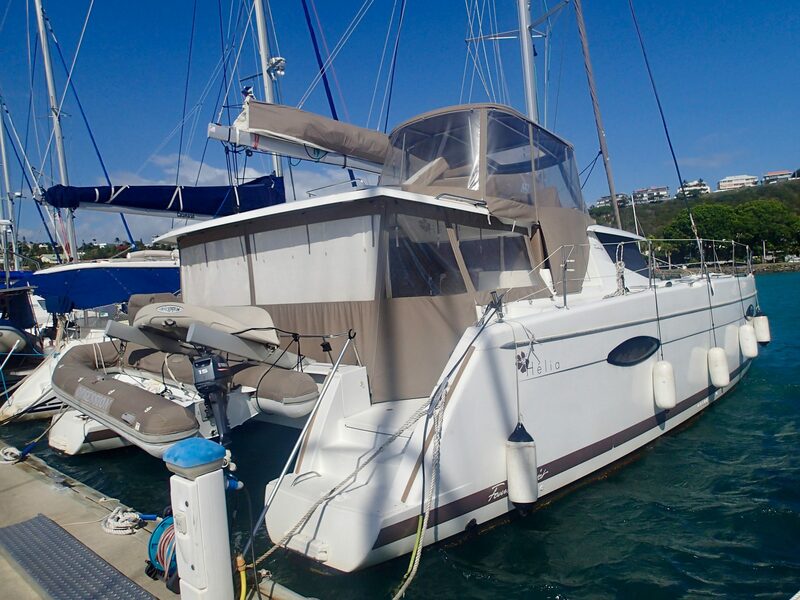 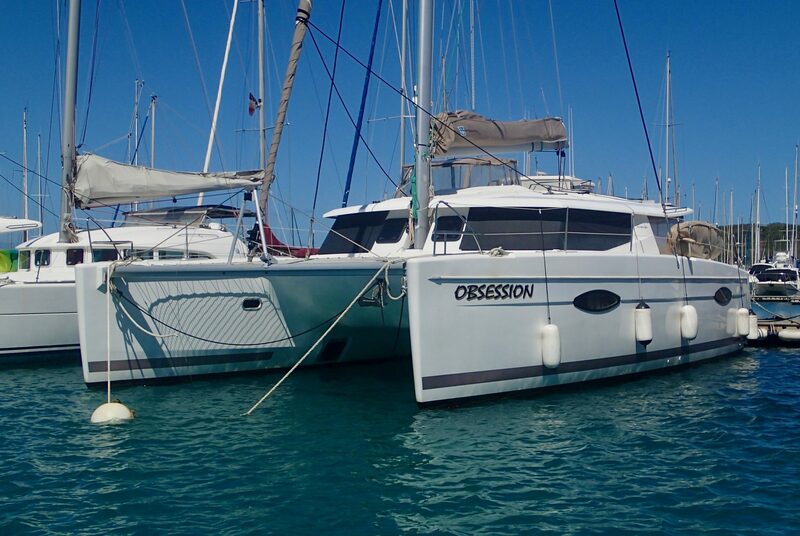 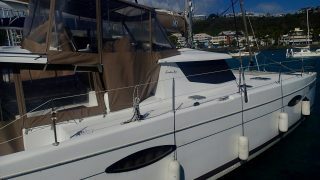 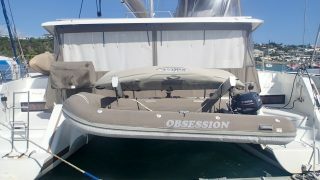 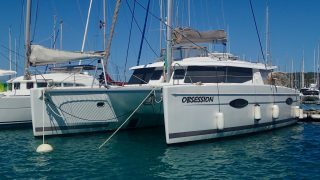 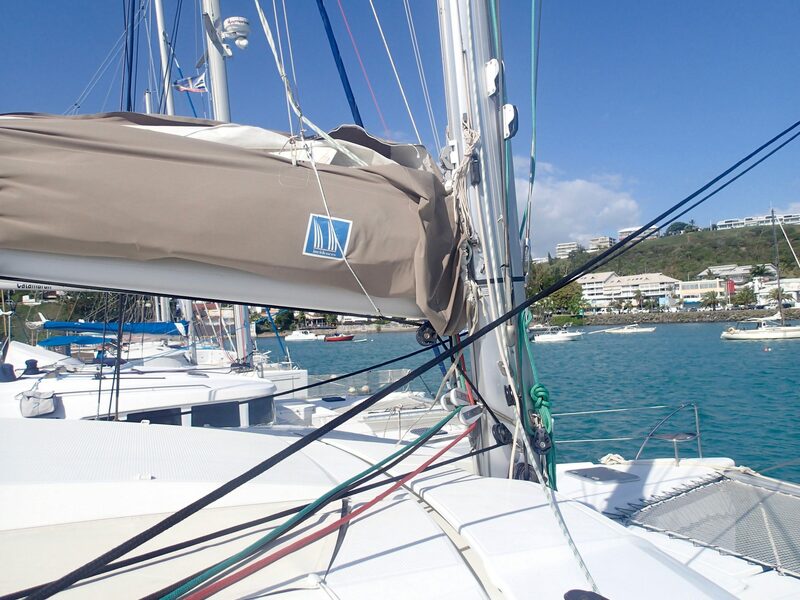 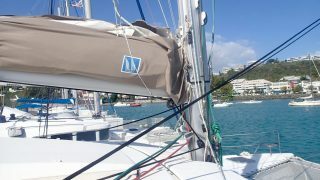 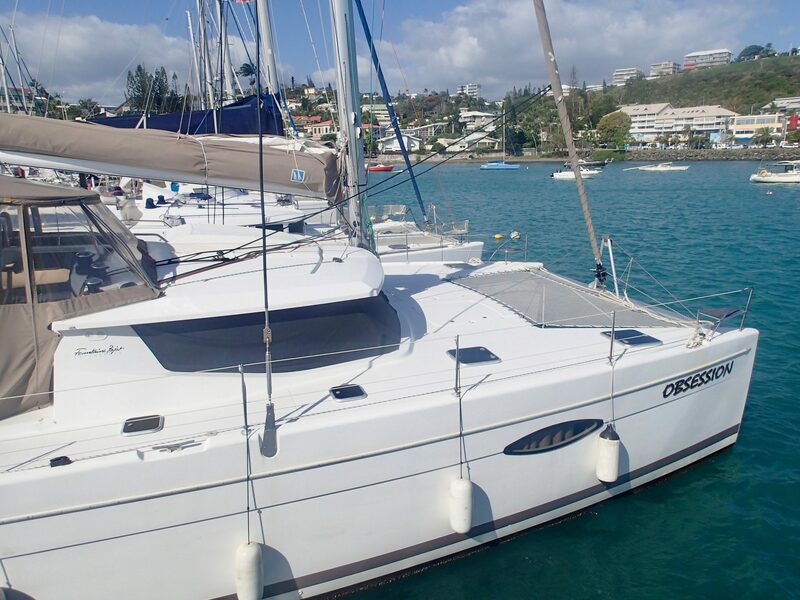 Obsession has never been chartered, her first and only owners have meticulously maintained her in an immaculate condition. 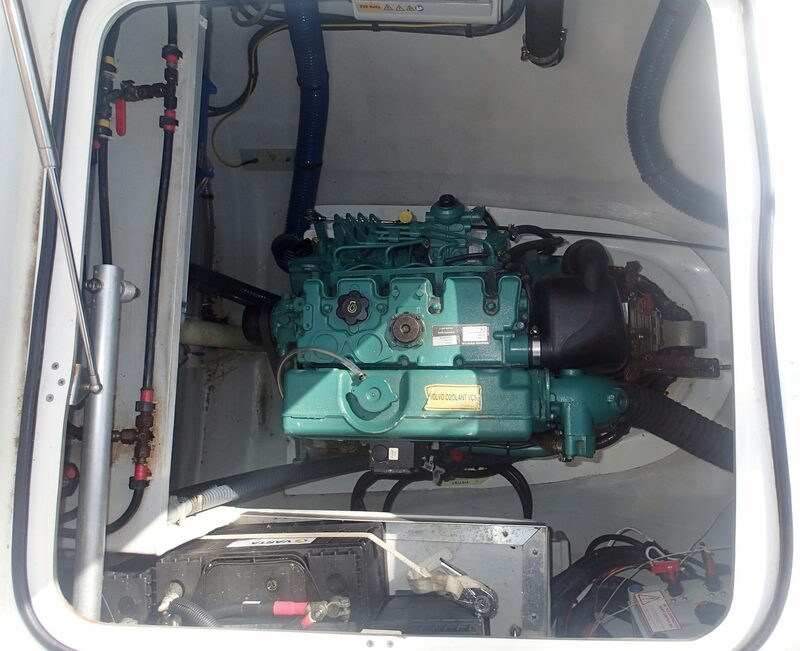 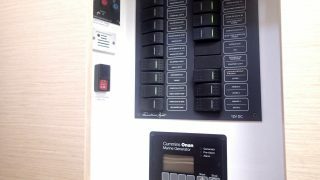 She has no shortage of power, with extra batteries, solar panels and genset all onboard, plus a water maker for autonomy in those remote locations. 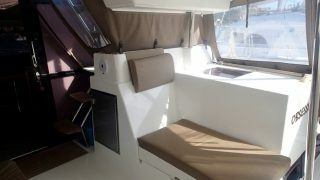 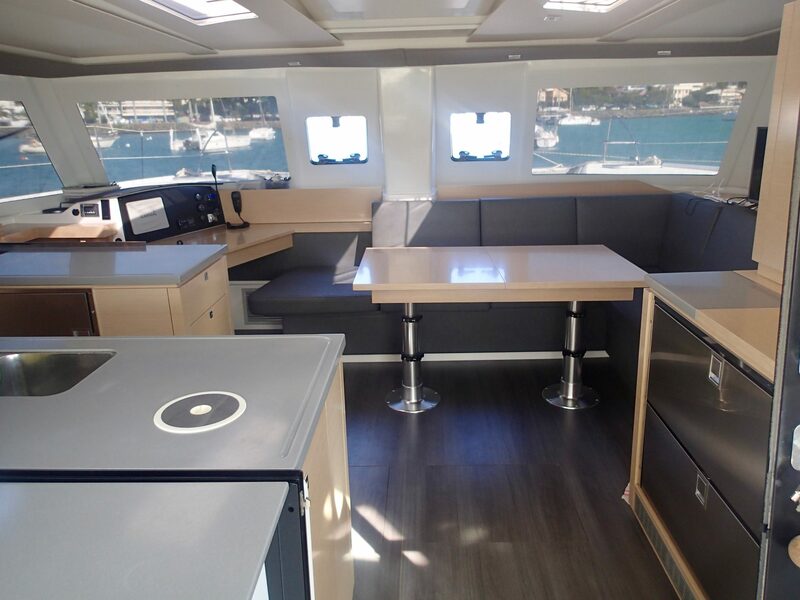 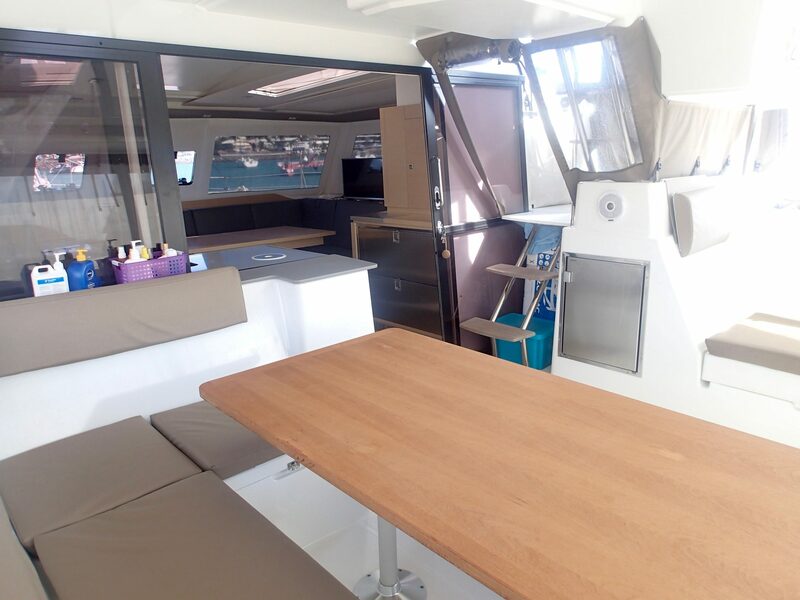 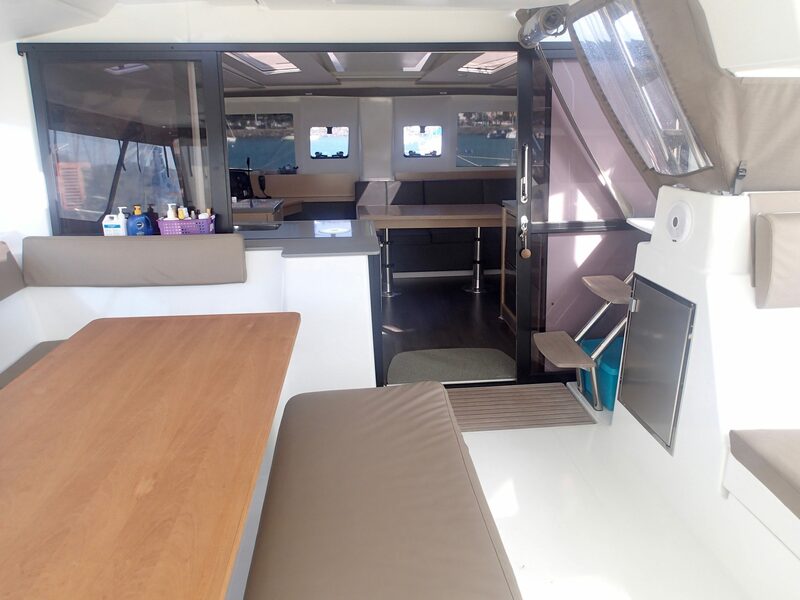 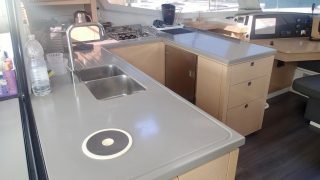 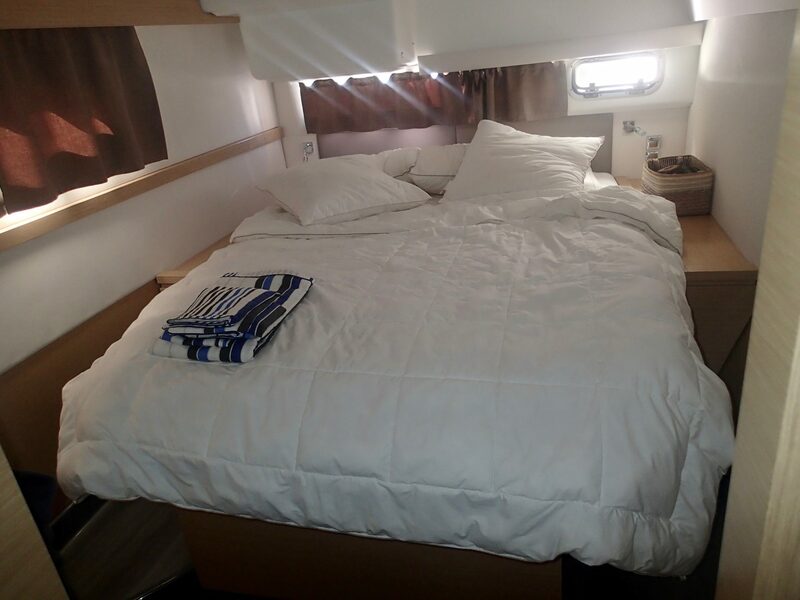 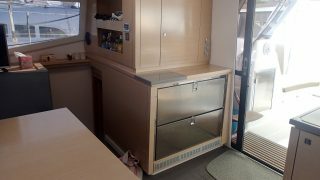 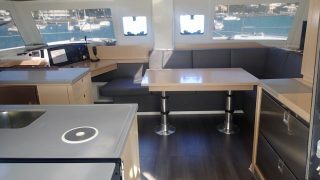 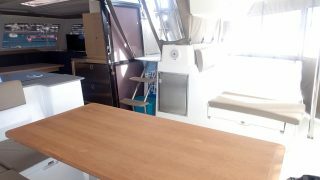 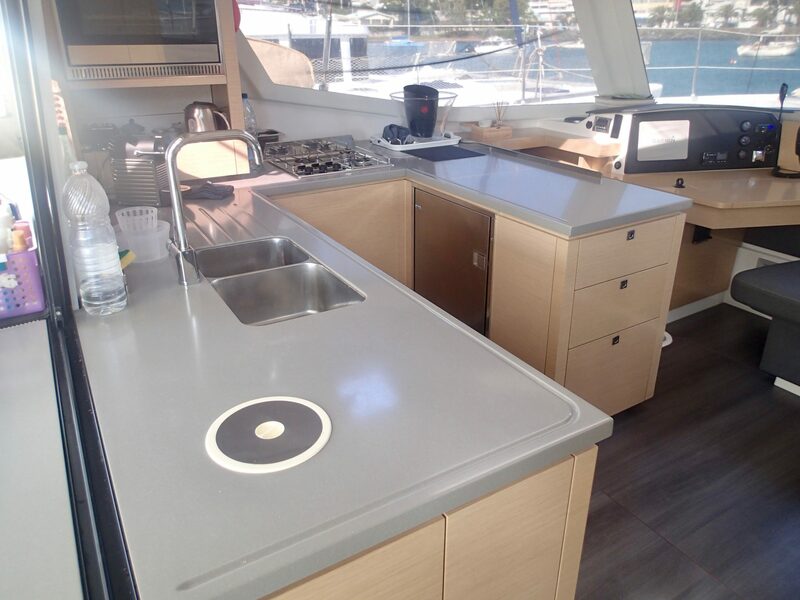 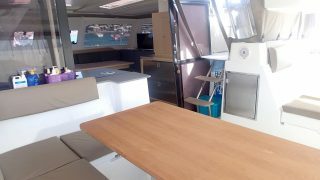 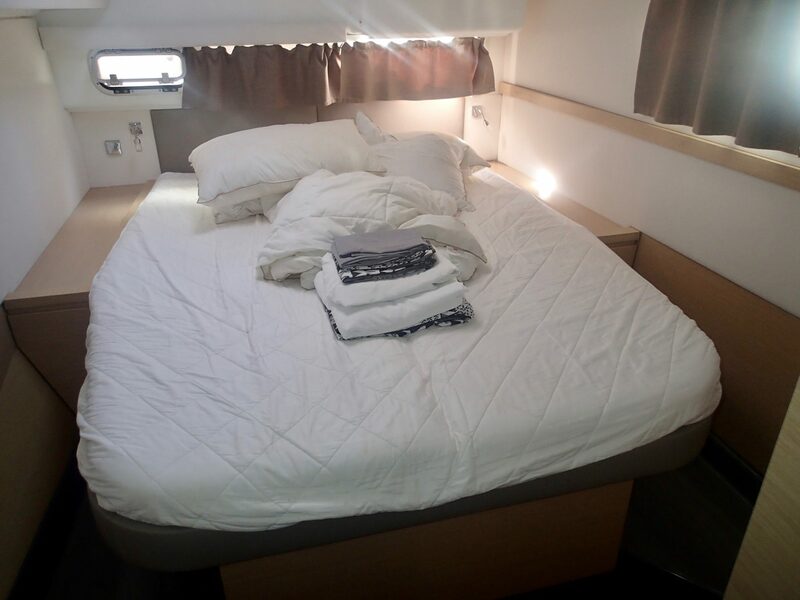 She also features air conditioning, and full Garmin electronics including plotter and AIS, TV, radio, tender along with a completely enclosed cockpit and a great stainless steel barbecue for when you catch those big fish! 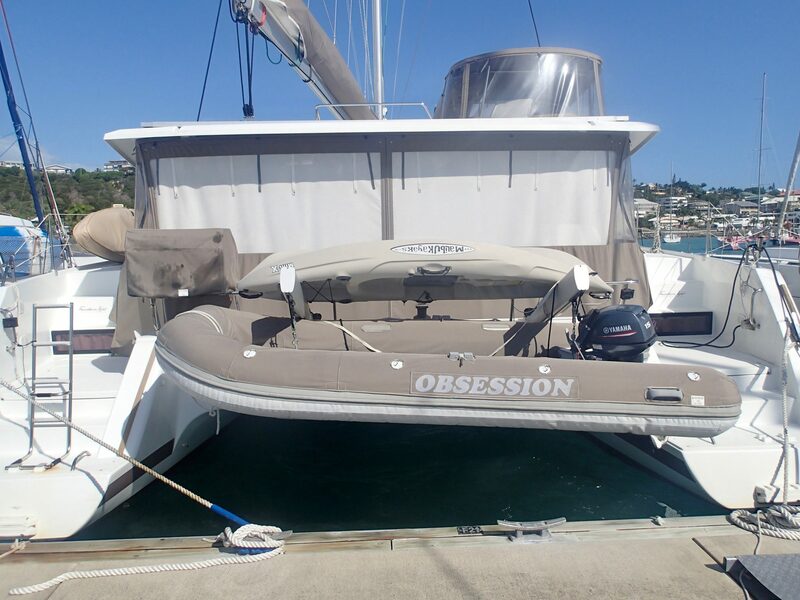 Obsession is lying in Noumea, New Caledonia where our local representative Franck Vincent can organise inspection and handover. 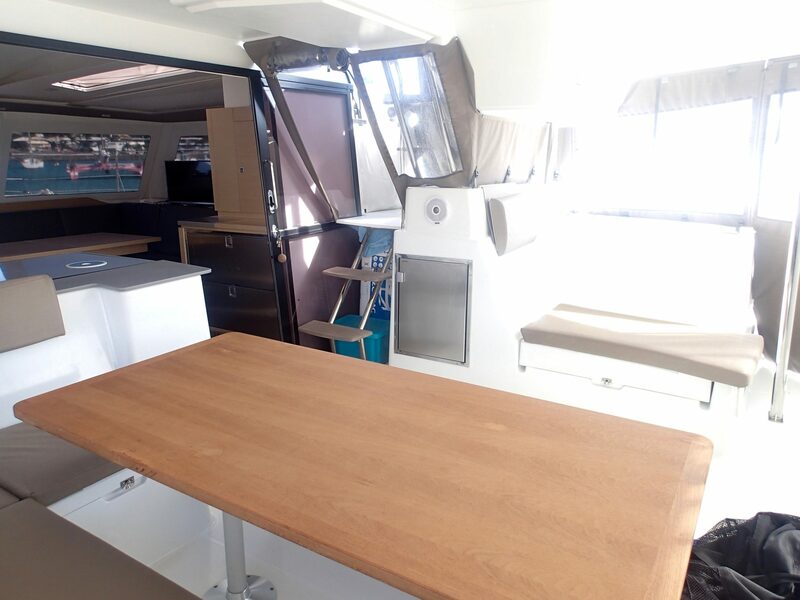 She is fully debugged and ready to go. 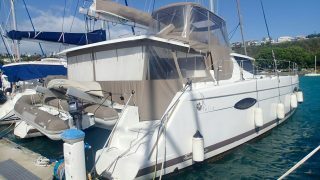 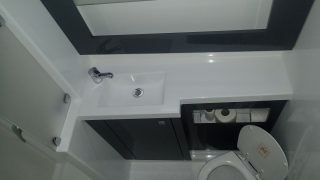 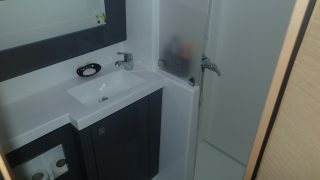 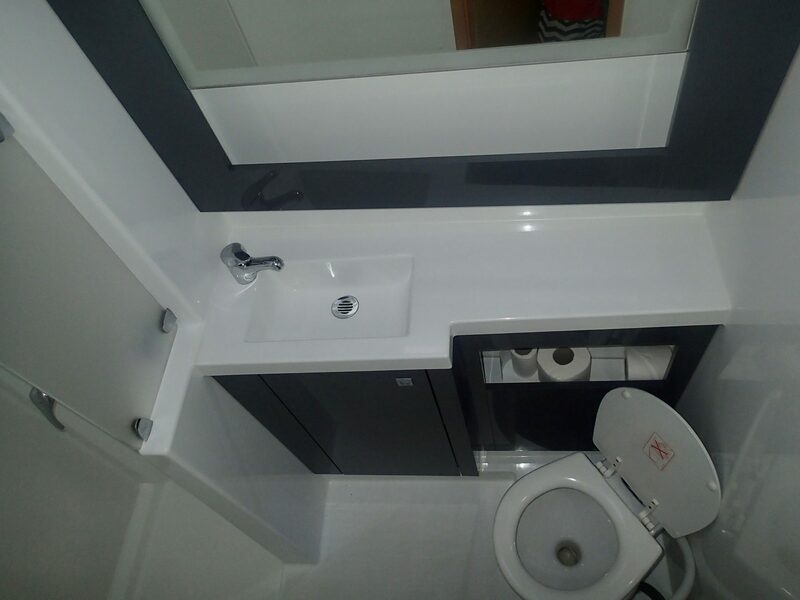 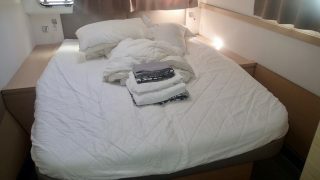 Call us now to arrange your inspection.